EV SSL 123 » What type of additional documentation does VeriSign require? What type of additional documentation does VeriSign require? 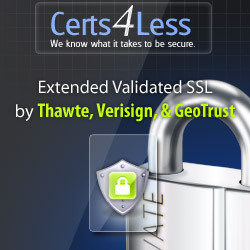 A legal opinion letter confirming that the requestor has the authority to obtain an SSL Certificate on behalf of the company must be submitted to VeriSign. The legal opinion letter also may be used to confirm the organization registration, organization address, telephone number, domain ownership, and that the organization is conducting business. Once confirmed, the requestor may be able to purchase additional SSL Certificates based on the original letter. If a legal opinion letter cannot be obtained, our Certification Practice Statement outlines alternate authentication and verification processes.